I don't know many meat eaters who don't appreciate a good burger, but unless you eat it plain, it usually gets pretty messy. Toppings falling off and sauce running down your arms seems like it's all just part of the process. 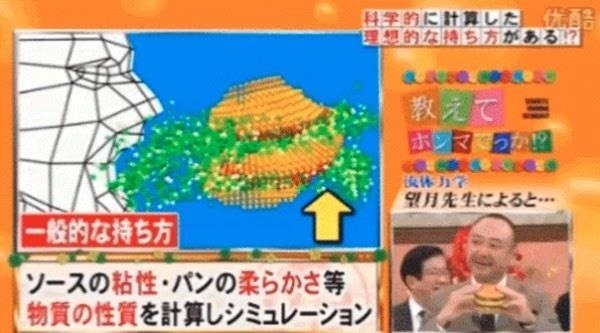 Three researchers who specialize in fluid mechanics, engineering, and dentistry did a segment for Japanese television show Honma Dekka!? to scientifically discover the best way to hold and eat a massive burger without it falling apart. Their conclusions were based off of four months of research and some pretty elaborate 3D renderings. 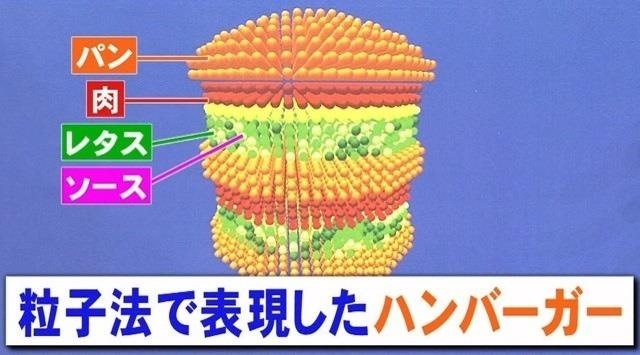 This scan was used to determine how all the particles within a hamburger interact with each other. 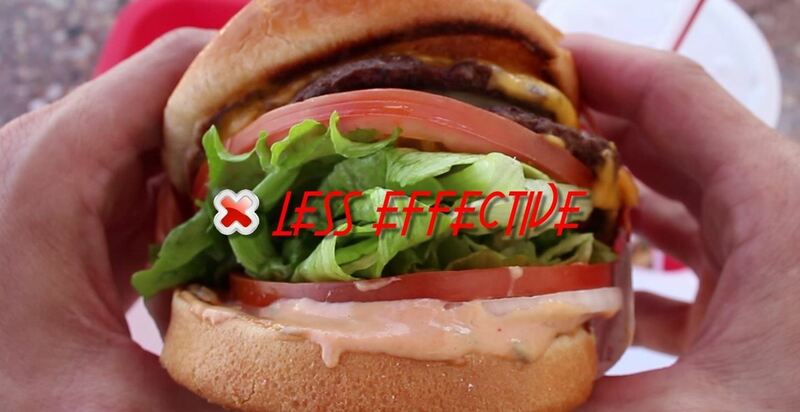 It showed that the way most people hold a burger (with their thumbs on the bottom and fingers on top) is quite effective—at squeezing all the toppings right out the sides. 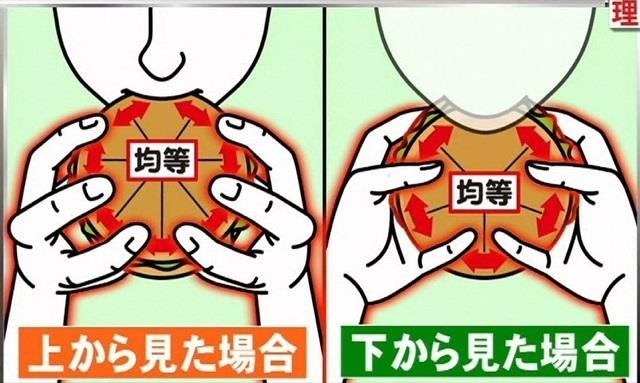 This is a very important problem, so the researchers tried various different hand positions to see if they could come up with a way to hold a burger so everything stayed put when a bite was taken out of it. Here's what they discovered. It's important that no matter how you hold it, that you don't hold it too tight. This crushes the bun and makes the toppings more likely to spill out. The dental expert also suggested opening and closing your mouth as wide as possible a few times before eating to "warm up" the muscles. But, most significantly, the researchers found one particular way to hold a burger that was the most effective at keeping all the toppings in: thumbs and pinkies on the bottom and the other three fingers on top. 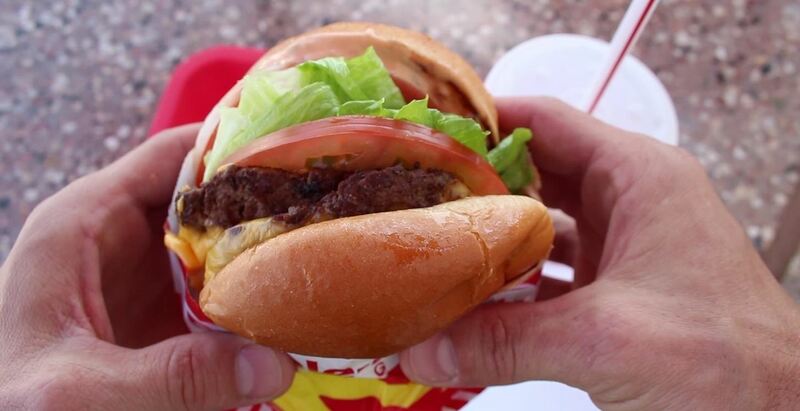 Your pinkies will hold the back side of the bun together so the contents can't spill out. Check out the writeup on Kotaku for more details and animated GIFs from the show. Here's a video from Foodbeast so you can see it in action. Another trick for a mess-free burger is to hold it upside down, as The King of Random does in the photo below. Since the top bun is twice as thick as the bottom one, it's much less likely to fall apart. How do you hold your burgers? Know of any secret tricks to keep them together? Share with us in the comments. Use a fork, a knife and a plate.